We're like a sports bar filled with Suns fans. You just have to bring your own beer. Hosts Greg Esposito, Dave King and Tim Tompkins take you on a weekly journey into the sometimes fun, sometimes painful and yet always entertaining world of Phoenix basketball. Ep. 116- Phoenix Suns Front Office- Who's At Fault? - Was Tyler Johnson the best the Suns could do at the deadline - Grading who had the best trade deadline in the NBA - We go on for a bit about the Gorilla - Did Suns dodge a bullet in not acquiring LaVar Ball? ;) - Should Suns have gone after Markell Fultz or Jabari Parker - Josh Jackson turned a corner? And what's next with this Suns team through the rest of the season. Ep. 110- Free Throws, poor defense or biased refs? - New nicknames for Mikal Bridges - The NAZ Suns becoming the Rodeo Clowns - Is the NBA biased against the Suns & therefore not giving them calls? - Is Devin Booker the next Carmelo Anthony? - Should the Suns insert Oubre into the starting lineup? And if so, who should he replace? 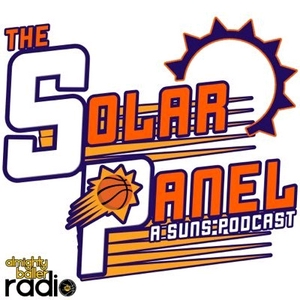 Veteran Suns beat writer Bob Young joins us to discuss his experiences over the last 13 years covering the Suns including the differences in ownership, culture, and management. We get a bit nostalgic discussing the 90's era, some highlights etc Don't worry- there's enough discussion of this current Suns cohort too.